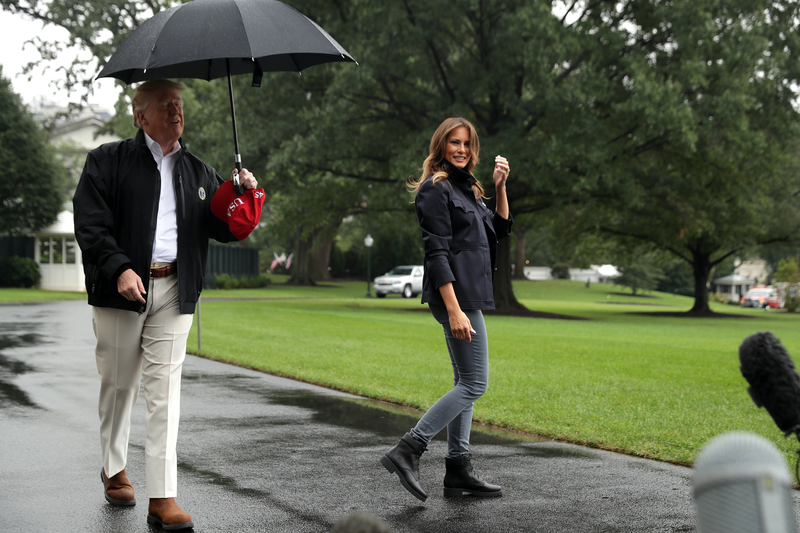 President stopped to speak with reporters outside the White House while on his way to Florida and Georgia Monday to tour disaster areas struck by Hurricane Michael. Trump answered a number of questions from reporters about various topics, including Elizabeth Warren’s release of her DNA test results. Trump said he did not care about the results. Trump finished his comments by stating that the United States’ relationship with North Korea is going well. “We have done things in three or four months that nobody has done in 70 years. 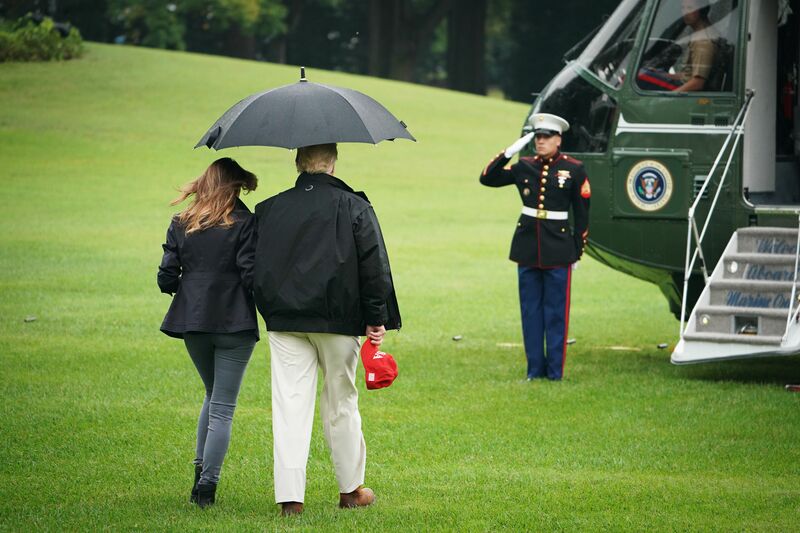 I think North Korea is coming along very well,” Trump said before turning to walk to the waiting Marine One helicopter. Waiting for him was first lady Melania Trump. 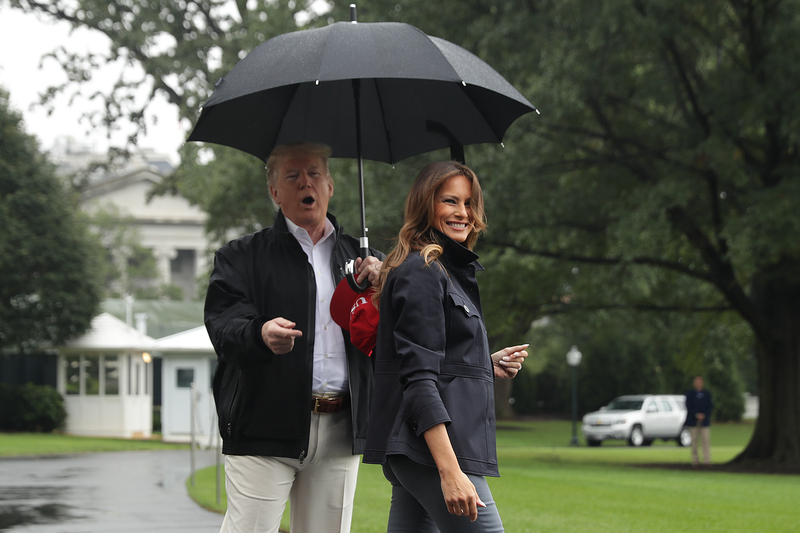 The president joined up with Melania but then returned to the press corps to compliment her. “She did a great job on television the other night. I didn’t do so bad, either. She did a great job … thank you, everybody,” Trump said. 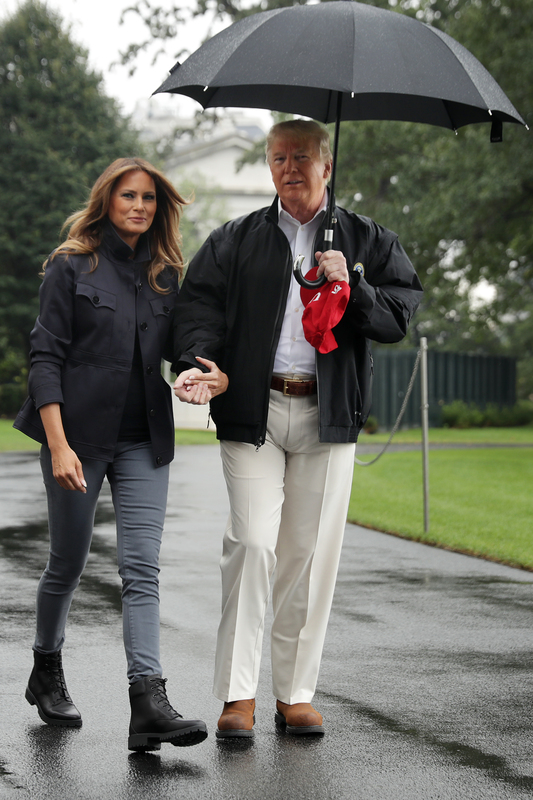 Melania smiled and waived at the press as the couple walked off. Melania sat for a rare interview with ABC last week while on a solo African tour. Melania staunchly defended her husband and his policies during the interview.